The U.S. and partners in Asia should leverage their respective strengths and increase cooperation in civil nuclear technology in order to bolster their nuclear power industries and address near- and long-term challenges. The nuclear energy sector currently faces significant challenges on both sides of the Pacific. Contrary to predictions in the early 2000s, a U.S. nuclear renaissance has not come to fruition. Instead, the U.S. nuclear industry has experienced a series of early plant closings, delayed or canceled construction projects, and financial struggles. Meanwhile, Asia, led by China, is anticipated to be the primary growth market, despite current downward trends in nuclear energy production in countries such as Taiwan and South Korea. 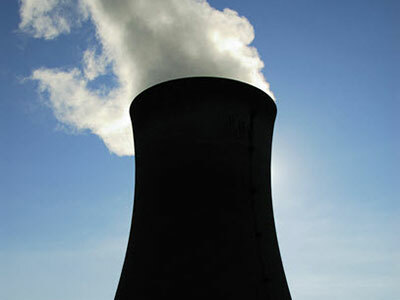 Nuclear energy is projected to remain a significant source of electricity in the near future and play a key role in reducing reliance on fossil fuels, but the nuclear industries on both sides of the Pacific must grapple with significant regulatory, investment, and social license challenges that could undermine the long-term viability of nuclear power. However, both sides of the Pacific have expertise that, if shared, could significantly bolster each other’s nuclear industries. Finding pathways to further deepen nuclear cooperation on fuel cycle services, reactor construction, and reactor decommissioning between Asia and the U.S. will be vital to the future of nuclear power in the world. Trans-Pacific cooperation can bolster the region’s nuclear energy industries. Increasing nuclear collaboration by sharing technologies and methods and engaging policymakers in dialogues that establish best safety, security, and nonproliferation practices can reinvigorate the Indo-Pacific’s nuclear industries and address social license concerns. The U.S. should leverage its expertise in areas that supplement nuclear industry needs in Asia. Providing decommissioning services or technology and interim storage technology and continuing to develop options for long-term nuclear waste management are two examples. Reinvigoration of the U.S. nuclear industry requires national, state, and local policymakers to modernize the regulatory environment and create economic policies that facilitate Asian investment in the U.S. Asian firms can bolster U.S. competitiveness in the industry through investments that offset U.S. nuclear deficiencies, such as building next-generation nuclear reactor technology on existing sites. James E. Platte is an Assistant Professor at the U.S. Air Force Center for Strategic Deterrence Studies.